Drivers and walkers have been warned that roads and footpaths will be busy as close to 100,000 music fans arrive in Blackheath this weekend. Over 25,000 people are expected at OnBlackheath Festival this year – and We advise those in the area to plan journeys ahead of time. Roads will be busy throughout the weekend starting early Saturday, September 8th and congestion is expected till end of the festival (Sunday 9th). OnBlackheath is very well connected by public transport. The area is well served by SouthEastern trains, the DLR, the Tube, Thames Clippers and those big red things that the wheels go round on. The festival entrance is on the heath by the corner of Hare and Billet Road and Mounts Pond Road and will be signposted from Lewisham, Blackheath and Greenwich Stations. 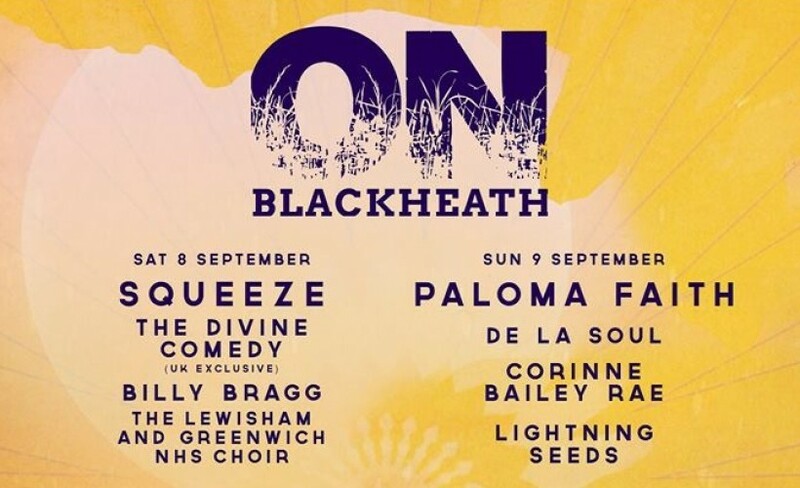 OnBlackheath will be a car-free zone and there will be no parking available in the vicinity*. We strongly advise that you do not try to drive to the festival. It is simply easier on public transport. For further information visit the Transport for London websites journey planner. *Blue Badge parking will be available. Details on how to reserve your space will be updated in the coming weeks.